Touring 20 Freshers Fairs across the UK from Scotland to the South coast, surveying thousands of students and hundreds of stallholders to compile the most detailed research forming our Best 20 Freshers Fairs of 2016. Why do students go to Freshers Fairs? Which brand had the best staff? Which brand had the best freebie? Which brands are students favourites? Which fair had the best atmosphere and experience? Will students come back next year? What brands do students want to see at Freshers 2017? Freshers’ Fairs are a must attend event for any brand with students as a key demographic in their marketing strategy. But in a crowded environment how do you stand out? Understanding what students want and where the best Freshers Fairs are is key. To receive the full Best Freshers Fair 2016 Report, please fill in your details below. 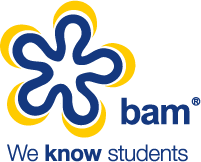 If you would like to find out more about how our team can help you plan your next Freshers tour get in touch today. We'd love to send you the latest news and insights straight to your inbox. We will always treat your personal details with the utmost care and never share your data with other companies.